We caught up with the Emmy winner to chat about everything from growing up in the Bronx to her favorite guest interview on the latest season of The View. Tell us about this season of The View? What makes it different and unique? 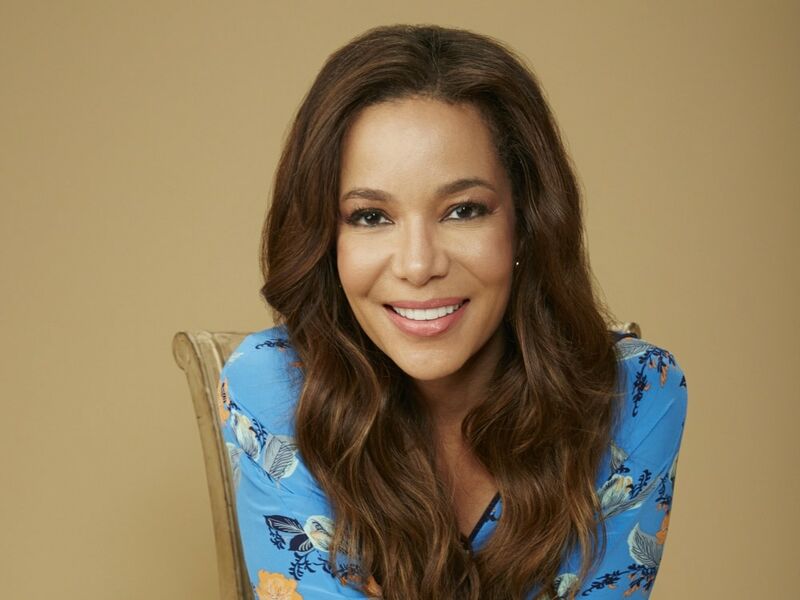 SUNNY HOSTIN: This season has been very fascinating and unique and different because we have a very different and unique person occupying the white house. Our hot topics are heavily political this season because our country has never experienced an administration like this one. What has been the biggest challenge about joining the panel on The View? SH: What many people don’t know is that I have been guest hosting The View for five years. Bill Geddie and Barbara Walters first asked me to guest co-host the show while I was still at CNN. When I joined the show as a current co-host for Season 20, it felt like I was home. I already knew Whoopi and Joy and they were really welcoming. Being on the panel is very comfortable for me. Who has been your favorite guest to interview this season? SH: That’s a tough one! We have the most amazing guests from across all industries. I really enjoyed Joe Biden. He is thoroughly authentic. Also, the cast of Black Panther: Chadwick Boseman, Michael B. Jordan, Lupita Nyong'o, Danai Gurira—they are truly the faces of a very important time for African Americans in film. I’ve seen Black Panther three times. As a two-time Emmy Award winner, what advice would you give a young person just entering the field of journalism? SH: You must find your authentic voice, report on issues which interest you, issues in which you are obsessed. My career did not take off until I found my voice and began telling stories I cared about—covering the Trayvon Martin case changed my life and career. Social justice is my lane. A big topic in the news is the #MeToo movement, especially in Hollywood. What do you think has changed since the movement started? SH: I think this is a real watershed moment for women and a power dynamic. I interviewed Tarana Burke the founder of the #MeToo movement, who explained that the movement is really about the survivors of assault supporting each other and letting women know they are not alone. What is next for you? Any upcoming projects you can share with us? SH: It’s such an honor to be on The View, so I will be doing that until they don’t want me to do it anymore! I will also be doing 20/20 specials and cold cases, I’m obsessed with them. I can’t share much about another project I’m working on but you may see me doing what I’ve been trained to do—chase justice. What is one thing you have not done in your career yet that you want to do? SH: I’ve tried to be very intentional with my work, which is really hard to do in television because you have so little control. I would love to get behind the camera, develop projects, maybe documentaries centered around communities of color. You were raised in the South Bronx. What has changed about the Bronx since you were a child? SH: The Bronx has changed and continues to do so. It was pretty rough when I lived there. I’m on the board of The Bronx Children’s Museum and we have broken ground on what will be a multi-dimensional museum for children. The Bronx is the only borough without one. People are investing in the Bronx, moving to the Bronx, growing awareness about the Bronx. I’m so happy about that. Where's one spot you love going to in The Bronx? SH: There are so many! My kids go to school in the Riverdale section of the Bronx, which is so beautiful. I spend a lot of time there.